Before time began, gods emerged from chaos. Uranus, the god of the sky, made love to the earth, Gaia, every night, and from their union were born giants and Titans, both hated by their father, who, consequently, imprisoned his children in the deepest depths of the earth. One, Saturn, escaped. Gaia, the earth herself, begged Saturn to stop his father’s insatiable desires, so she helped her son castrate his father. The operation was a success. 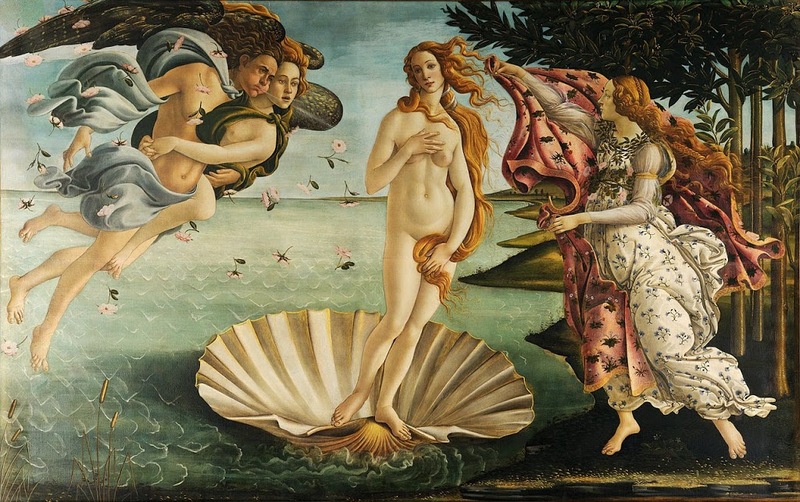 From Uranus’ testicles, cast into the sea, the goddess of love, Aphrodite, was born on a foaming wave. Saturn took over as top god. Time began. Tomorrow’s New Moon is in Aries, the first sign of the zodiac, itself the sign of beginnings. It conjuncts old Uranus, a god outside time. But this same god, sires both love (Venus) and work (Saturn). These two planets are in a dynamic square this weekend. This would be a thrilling moment — despite everything — to begin something good. To read a wonderful retelling of this tale, click here. Good to read a “positive spin” on the current & upcoming celestial pictures…Thank you!! Curious what your thoughts are on Saturn in Scorpio retrograde?